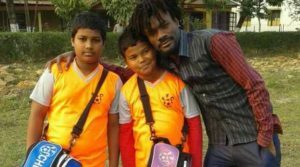 Assam BJP MLA’s false promises put Nigerian footballer behind bar, news portal Newsclick reports. According to Newsclick, Henry Oja Kheleche, a Nigerian footballer, came to Assam intending to coach youngsters and create a stimulating football environment in Assam. But unfortunately he was punished twice for the same crime. Henry served two prison terms with the duration of almost two years for an expired visa. The second jail sentence should never have been pronounced if the involvement of Khumtai BJP MLA Mrinal Saikia had been carefully scrutinised by the courts, Newsclick says. BJP MLA Mrinal Saikia promised to get Henry’s visa extended for coaching players of the MLA’s football club. When Saikia failed to get the extension, Henry was thrown in jail, with no mention of the MLA’s involvement in the case. The evidence presented in the court that got Henry his second punishment differs vastly from what the footballer told Newsclick. Henry states in his testimony, recorded on video, that Assam BJP MLA Mrinal Saikia promised him a visa extension in exchange for coaching Saikia’s football club. The magistrate had ordered for Henry to be deported after first being jailed for overstaying his visa, but on repeated assurances by Saikia, Henry returned to Assam accompanied by the Assam police. Henry first arrived in India in 2011, landing in New Delhi. After a couple of days, he flew to Guwahati. After regular interaction with the locals, he started teaching football, organising competitions, and touring the state. In all this travelling frenzy, Henry told Newsclick, he forgot to get a visa extension. During one of his tours in 2016, the local police started enquiring about his origins and documents. After finding that Henry’s visa and passport both had expired, he was arrested and sentenced to serve four months in Golaghat jail of Assam, followed by deportation to Nigeria. 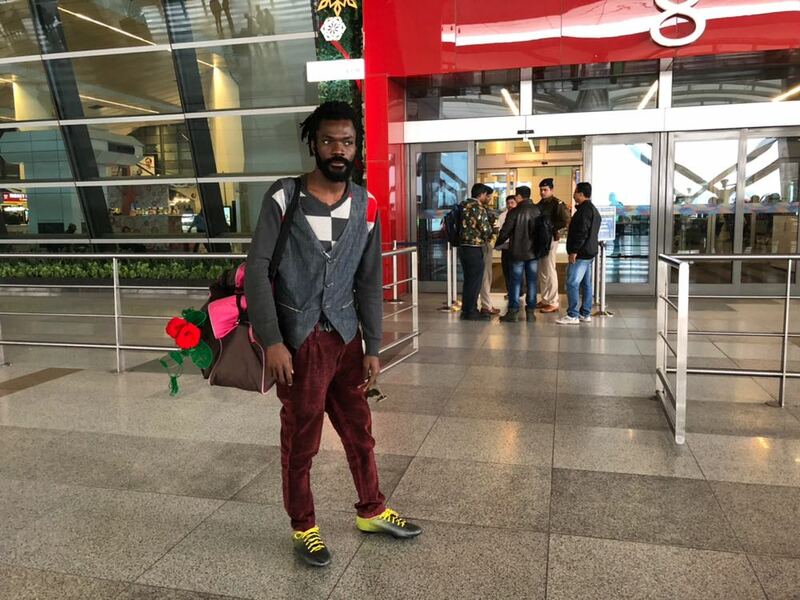 Henry’s four month stay got extended to eight months as the police tried to make arrangements to take Henry to the Nigerian embassy in Delhi, and get him deported. Towards the end of his stay, Henry said, BJP MLA of Khumtai constituency in Assam, Mrinal Saikia, paid him a visit and asked him if would like to stay back in Assam and continue teaching football. Henry said it was his dream to make Assam a thriving football state and that he would love to be able to stay. Henry was taken to the Nigerian embassy in Delhi accompanied by the Assam police. There, they requested embassy officials for a visa extension, but were refused. Since Saikia had promised Henry that he would secure his visa, the police brought him back to Assam. Henry stated in his testimony that he was greeted by Saikia on his arrival. Saikia and Henry gave interviews to a satellite channel, talking about all these developments. This interview has been removed from all online platforms, Newsclick reports. In the interview, Saikia says that he has gotten Henry a visa extension of 5 years after talking to the Nigerian embassy. He clearly states that Henry has come back to Assam with Saikia’s aid, and will continue teaching football here. Over the next few days, the two visited two ministers in Assam. Both assured Henry that the ministers had political power and no one would harm him. And so Henry started training Saikia’s club. After a month, however, Saikia told Henry that the visa cannot be extended, and that he would have to return to Nigeria. Saikia promised Henry Rs 1.5 lakhs for his journey back. But when he dropped off Henry at the local police station, he only handed him Rs 20,000. The police took Henry to the magistrate, who sentenced him to jail again for the period of one year. In fact, nothing about Saikia’s involvement and promises for visa extension were stated in the case against Henry. Henry finally came to Delhi last week after his second sentence ended and flew back to Nigeria after six years.